For an aircraft operator to utilize the RVSM altitudes, they must be RVSM authorized by the FAA. 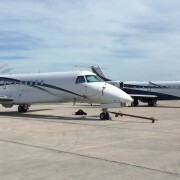 This authorization is done via an application process through the FAA and must be performed any time there is a change of ownership or operating specs. Let us help you with your RVSM application.